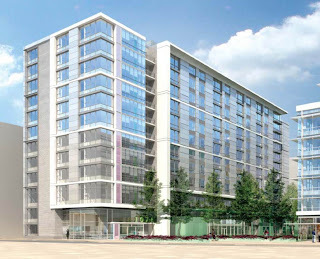 The transformation of the former EPA towers at Waterfront Station to residential is scheduled to get underway over the next month or so and will take about 22 months to complete. The West Tower (1051 4th Street) will have 252 units and the East Tower (1050 4th Street) will have 265 units for a total of 517 apartments. About 104 units, or 20%, will be set aside for households earning up to 50% of Area Median Income (AMI), which is approximately $51,750. Back in March, Urban-Atlantic purchased the two empty buildings from Waterfront Associates for $20M. 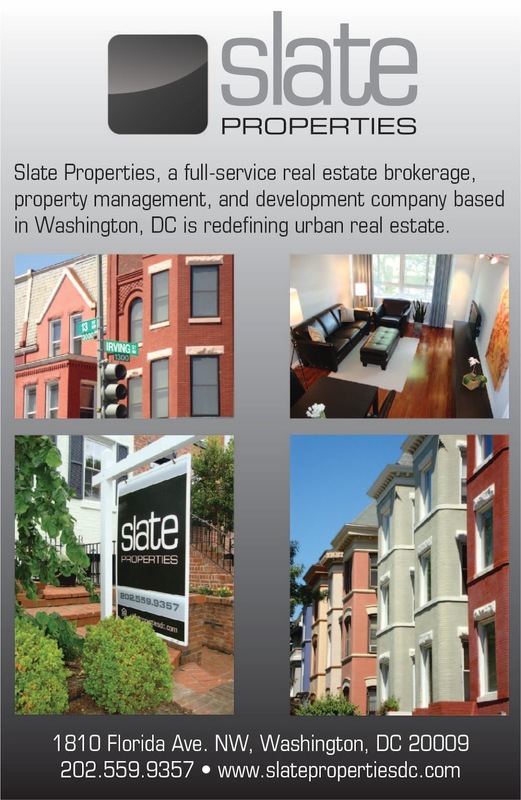 Now, JBG is involved in the venture (the WBJ reported a couple weeks ago that JBG recently closed on a $753M fund to acquire real estate in the Washington area). Wiencek & Associates has designed the towers, which altered the old design slightly from Shalom Baranes Associates (older rendering is above). 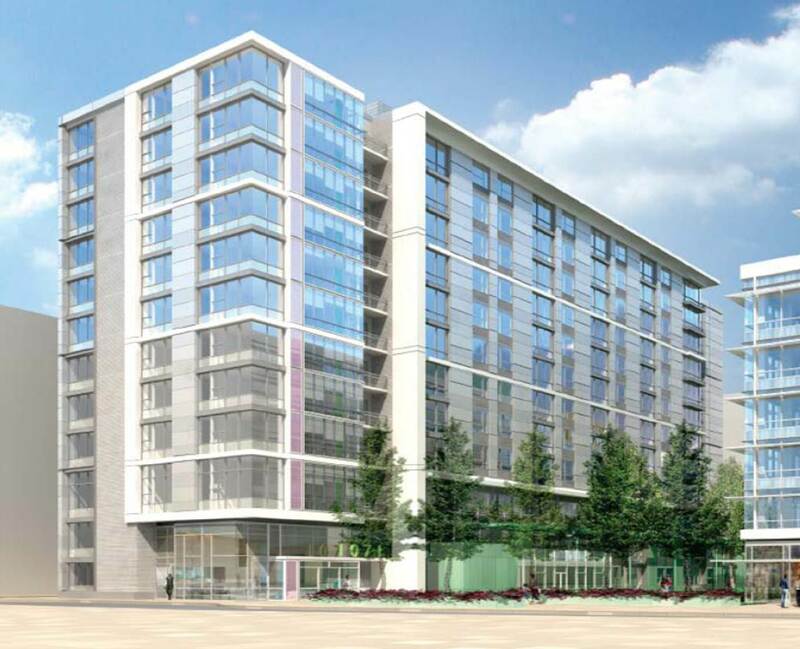 According to a letter sent by the DCRA in October 2010, the developer plans to put roof terraces, a green roof, and a rooftop pool in both buildings. Odd they are letting these buildings have Fourth Street addresses - wonder what is up with that? Those street numbers would more logically be the empty blocks north of CVS and Subway towards I Street. That's true Bob. Potomac Place Tower is 800 4th St and the gov. building is 1100 4th St. How would a building south of the Safeway have a 1000 address?? That address was probably given in 2010. I'm super excited to see this and the other SW developments unfold as well.